club emblems with the club station callsign SK5LW. On my home page you have already seen my personal radio callsign SM5TGV. Here below, I tell a little about amateur radio. 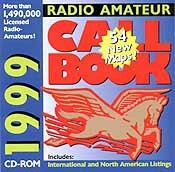 The amateur radio is as hobby equally old as the radio's history. In the radio's childhood contributed the radio amateurs to the fast technical development within wireless communication. The knowledge and the technical conditions for wiresless transfer of messages through radio waves, allowed in the verry beginning only that “radio energy” was generated or not. Therefore, same traffic method was used as by the wired connected telegraph - the Morse alphabet with combinations of short and long signals. These so-called Morse alphabetic was generated from the start with spark transmitters that gave a radio frequent signal with a lot of wavelength's - /frequencyspread. This traffic way had of course big restrictions, both what it concerned the possibility that on a simple and fast way transfer long messages. Some strong stations could block the whole wavelength's - /frequencybands for others stations. In order to the society and especially the defence authorities in different nations would have good access to well skilled operators. Therefor frequency bands was transfered for enthusiasts, licenced radio amateurs. They would in this way amuse their skills in telegraphy and radio technology. Later the amateurs found out how to generate exactly wavelengths /frequencies and modulate (to govern) these so also speech could be transfered. Here can be mentioned the the so-called amplitude modulation (AM), that gave the radio one rise and allowed speech transfers to the general public. It became during 1920´ popular to build own crystal receivers. It was used the silicon crystal to detect and equal aim/demodulate the audio frequent. On that way could the audio frequent be heard in earphones. The radio amateurs were at this time in full journey with developing an amount of different circuit - solutions to improve the radio receivers' and the transmitters' properties. Circuit solutions were developed also to ensure that a certain transmitting frequency could be hold with big precision. The radioamateurs were from the authorities reduced to short radio waves, as on that time was found as not practicable. The pioneer work the amateurs then done, contributed strongly to that the so called short wave band came to use for as well broadcasting as commercial purposes. Today offers the hobby a many different activities. It is not only telegraphy or speech communication on the short wave bands. Also sofisticated communication with computer transfer via satellite on high frequency bands is on advance. The amateurs low in the technical front line and participated in the development during early 1960 so the modulation method Single Side Band, SSB, might one huge penetration. Just it, penetration in range possibilities. A amplitude modulated transmitter emitted one berry wave that be modulated with the speech frequency. This berry wave has two so-called side bands. Through to only modulate one side band and moreover eliminating the berry wave can the transmitter's all energy better be concentrated to a smaller bandwidth. Hereby can also more transmitters operating within a frequency area. 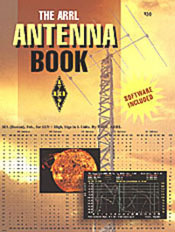 Examples on other partial areas within the hobby is picture transmission according to SSTV-principle (Slow Scan TeleVision), RTTY RadioTeleTYpe, Faxes, Packetradio (digital computer transfer, text transfer, through tonmodulation). The enthusiastic amateur builds still today a part of its equipment, but it becomes all more common that factory built radio stations constitute the amateur's starts out in the space. These radio stations build on the last technology and is often digitized in its circuit build up and proves to have unique properties for frequency stability, selectivity (average different frequencies), noise reduction of disturbances and of course possibility to different modulation methods and traffic ways. The radio waves does not take considerations to country borders and the hobby is global. This does it necessary for a international cooperation. ITU has established which frequency areas that the radio amateurs have right to send on. SSA is a special interest organisation open for all persons that are interested of amateur radio. The association works to take the members' interests vis-à-vis authorities and as cooperation body with advice and service to the members. The total number radio amateurs in the country is about ten thousand. SSA deals also with the distribution of QSL-card in all countries. One QSL-card is a letter card with information about the the own radio station and with which other station one has had contact with. One confirmation card. Hard working radio amateurs can often show thousands of QSL-cards from all the world. 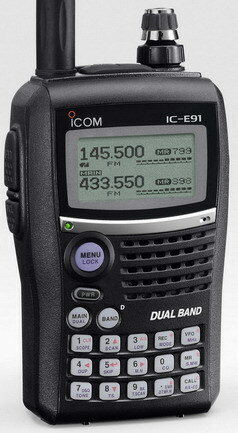 One radio transmitter in the short wave bands (1,8 - 30MHz) can at good radioconditions easy reach to others continents. Therefore, the important is that they that manages this equipment also is surely skilled in how it functions and how one behaves on these international frequencies. In other cases would a few operators disturb all radio traffic over one big area. 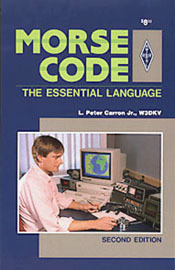 Of this reason, each radio amateur has one own unique callsign as he is obliged to send with regular intervals in order to identify itself. PTS prepares regulations for among other thing amateur radio communication. Each radio amateur be allocated a personal identification through one “callsign”. All Swedish radio amateurs' callsigns begin with SM, what cold for country prefixes. (2004 was taken also the series “the prefix” SA in use) Then, a district figure follows. Sweden are divided in districts from 0 to 7. Södermanland, Västmanland, Uppland and Östergötland constitutes for example a district and has the figure 5. Then, it follows individual radio amateur even unique letter combination on two to three letters. fFrom 2004 has also the association Sweden's Sändareamatörer got rights to certify new amateurs. The radio amateurs be engaged of the society at for example by organized search of people and at others occasions then general communication means can be beaten. Radio amateurs also often, been the first to heard emergency signals from boats in distress at sea or other expeditions in all over the the world. For all of us is the signal SOS with the aid of the Morse alphabet well known. Three short, three long and three short signals in a consequence. The letters be claimed to last an abbreviation of Save Our Souls. At emergency call on telephony used often Mayday or Emergency. Satellite communication has already taken over the bigger part of as well emergency traffic that commercial radio within the shipping. For coast near traffic like for our big lakes is used higher frequency bands, the VHF-band (Very High Frequenzy) channel 16 (156,800MHz). The emergency frequency on so-called boundary waves 2182kHz.has since some years (2002) back been replaced of GMDSS, Globe Maritime Distress Safety System. To that comes satellite based telephone system for commercial use. is one of the more active clubs in Mälardalen. The club has almost one hundred members. 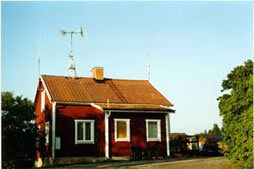 Each Thursday evening is it “open house” in the the club cottage located just outside of Torshälla. The club has a modern radio equipment. Moreover contributes the club with radio networks by various commitment as for example car rally competitions. The club tries regularly to organize course activity for amateur radio certificates for new members.